What happens when you place Sandro Giampietro (Supared), Jens Becker (Grave Digger), and Mike Terrana (Rage, Axel Rudi Pell, Malmsteen) in a band? Just by looking at this lineup, one may easily guess a solid heavy metal band. If so, you would be wrong. Zillion is certainly a band that showcases a softer side of the aforementioned musicians. Fans of European melodic hard rock will be drawn to this release. Naturally enough, the most well known label of quality melodic rock releases, Frontiers Records has taken Zillion under their fold. While some indifferent songs hold this release back, there are enough outstanding moments to please those of you who enjoy slick, well played melodic hard rock. Sandro Giampietro handled guitar duties in Supared (Michael Kiske handled the vocals), which was a huge disappointment to my ears. The man seems to have found his forte with Zillion. Not only does he handle guitar duties, but he is also the lead vocalist and producer for this band. Sandro's voice is one that is uniquely identifiable. He sticks with a mid range delivery for the most part, but his warm, soothing, and melodic delivery gives the music that "Zillion" identity. Giampietro is no slacker with the guitar, either. He delivers a steady diet of precise riffs throughout the album, accentuated by the highly polished production of this album. Additionally, the guitar solos breathe a lot of life into songs as well. I found them not only to be energetic, but also somewhat challenging as well. While listening to this album, you won't have to try very hard to find a catchy melody or an addictive riff that just won't leave you mind. Giampietro uses his melodic voice and commanding riffs to give the songs a very memorable effect. Furthermore, soaring choruses are used generously to drive the songs home. The band achieves a nice balance between hard rocking songs and slower ones. To be quite honest, the slower songs just aren't nearly as good as anthemic gems such as This Day is Gone, You and Me, Kryptonite, and The Smile. In fact, slower numbers such as Day or Night and Say Goodbye sounds like downright filler when stacked up against the stronger material of this album. Hopefully, the future will see Zillion stick to hard rocking / anthemic songs, where they are clearly at the top of their game. I like the fact that the song structures are focused compact songs. Only 2 songs are in the 4 minute range, with the rest sitting around 3 to 3.5 minutes. This allows the band to deliver their point, without needlessly repeating the same chorus 10 times, or diving off onto a tangent the ultimately causes the listener to lose interest. As soon as the band drills one song into your memory, they quickly follow up with another melodic punch, and then another. 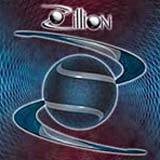 Despite a couple indifferent moments, Zillion will certainly emerge as one of the best newcomers of 2005 in the world of melodic hard rock. The band has a very professional, well polished sound that is easy to listen to. Most importantly, the songs themselves feature classy songwriting, and well played individual performances. Frontiers has picked yet another winner with this debut release, and the future is only looking up for this band, especially considering the talent of its members.